Nice size doe. Congrats Keep it up. Seems like you're rollin' right along! Good work! Helluva start there Joe ......... congrats !!! Joe, looks like you have taken the lead this deer season. How big a freezer do you have? I have a full size up right for deer . I actually didn't go back out Saturday . I did some yard work and enjoyed the day . This week is doe only I have Friday off I might try for another doe and Saturday will either muzzle load hunt deer or drive to western MD for a day of turkey hunting. not quite sure yet. Im drooling.. all that prime venison great work Joe. Sweet looking deer Joe...as Elvis said...all that prime venison. That smokeypole is a deer magnet!!! Congrats and when do we eat!!! Are you going to have any tags left for the regular season? Wow! Congrats on all the success! Venison BBQ at your place this fall? I can take 33 deer without a extra tag. You have become a modern predator! 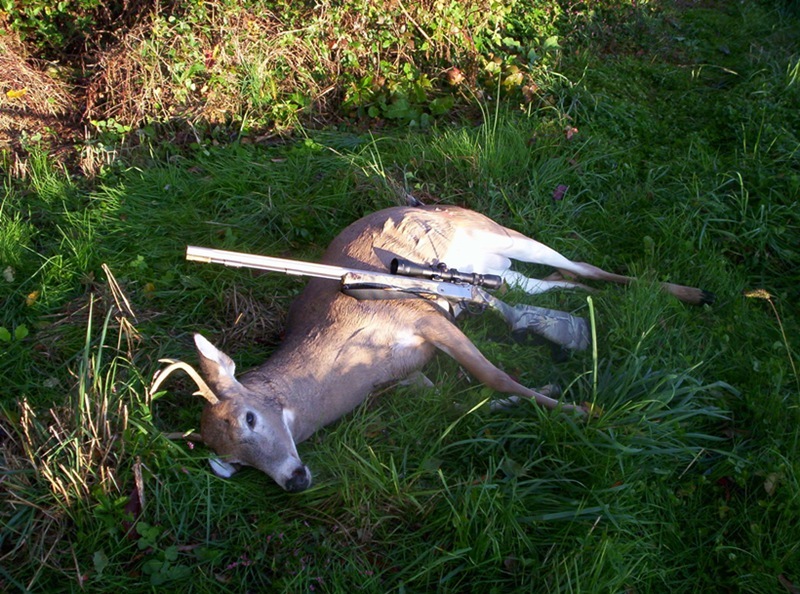 I did not know that MD had that good of deer hunting. I thought we had good seasons here in Ok.